We appreciate your feedback about your support experience with WooCommerce, developers of Authorize.Net DPM. This helps us maintain high standards on the WooMarketplace, and helps WooCommerce improve. If you’d like your customers to stay on your site for the transaction please see the Authorize.net AIM payment gateway. 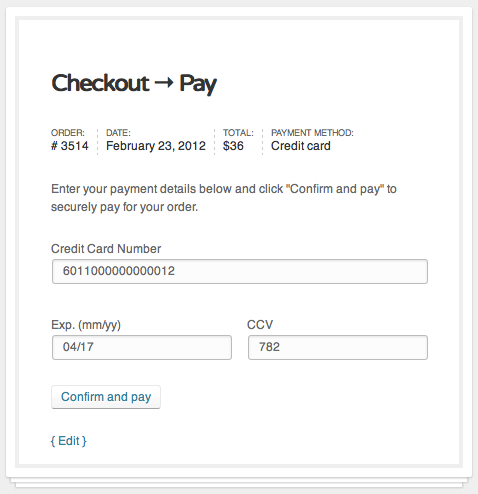 Looking for integration with WooCommerce Subscriptions? Try Authorize.net CIM. Note: There are several variations of this extension. Not sure which Authorize.net gateway is right for you? Check out the Authorize.net Extension Comparison Guide. Note: Authorize.Net DPM is currently available in the US and Canada.